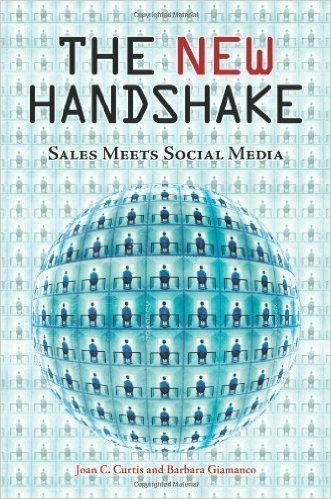 In The New Handshake: Sales Meets Social Media, coauthors Curtis and Giamanco present Sales 2.0, a significant expansion from selling via the traditional face-to-face or telephone sales methods. The book begins by examining the impact of the communication revolution on sales as well as the history of selling. It contains case examples that justify incorporating social media in business. The final chapters of the book describe each social network, explain how they work, and create a road map for a social media sales strategy—including how to empower salespeople to overcome their resistance to change. Raise your hand if your company needs more new customers. I suspect your hand is (figuratively) up. This book is about not just growth, but high-growth, explosive-growth, the kind of growth that weather satellites can see from space. The success of any business-to-business company is directly linked to how effectively they acquire new pipeline. To skyrocket growth, sales development is the answer. This book offers an up-to-date and definitive explanation of how to build relationships via social media in the sales process and is a guide to encouraging sales people to embrace these revolutionary techniques.